On this significant day for our nation - we declare God’s people will praise Him and honour Him as the King of Kings and the Lord of Lords, that the sound of worship will cover this nation, transforming atmospheres, raising faith and overwhelming every fear. We call His people to set their eyes upon Jesus, to be a voice of peace to the nation, building, strengthening and encouraging by the power of His word in our mouths, that a spirit of hope will be released across this land. We lift Theresa May to You now, we thank You for her willingness to serve the nation, for her strength and her resolve. We ask You to surround her with favour as with a shield, that she will walk in great peace, carrying Your mantle of authority, wisdom and stature; that Your strength and Your peace will rest upon every MP, that God’s will and God’s purpose will be established in their hearts and minds, overcoming confusion, fear and pressure. 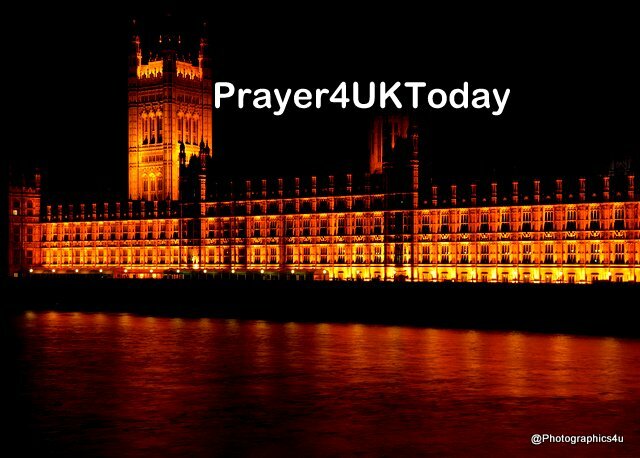 We stand as the Ecclesia in this nation and we decree the outworking of todays Meaningful Vote, will cause this nation, to be led, governed, influenced, positioned, connected and aligned for God’s Kingdom purpose in the days ahead.